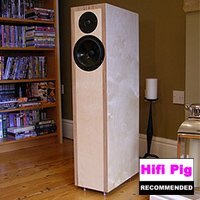 The £995 TR-5 S2 loudspeaker has already been extensively reviewed by other hifi magazines over the years since its introduction, so why is Hifi Pig reviewing them now I hear you ask? Dominic Marsh will explain. Roksan recently threw open their product catalogue for Hifi Pig to choose any component we wanted to review and other Pig reviewers plumped for their latest products, but I jumped at the chance of hearing these speakers and I did that as at one point a few years ago I was contemplating buying a pair (which didn’t even get as far as an audition) because I am a great fan of ribbon tweeters which drew my attention back then to these particular speakers. 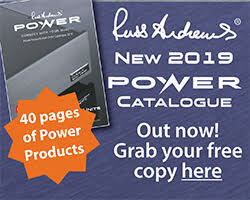 However, I found myself with some spare time on my hands before they arrived, so I did something which otherwise I would never do and that is to read some of the online reviews of this particular speaker. They all praised the tweeter’s capabilities, but then comments about being a touch light in the bass registers, plus an “uneven frequency response” were noted. One reviewer’s snapshot opinion is one thing of course, but when more than one are saying roughly the same thing then that is beyond coincidence. 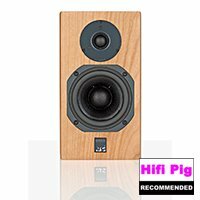 Has the TR-5 speaker been unfairly blighted by the reviewers? Let’s see shall we. Retailing at circa £995 it is very unusual to find a ribbon tweeter included in this price bracket… and at considerably higher prices too I might add. 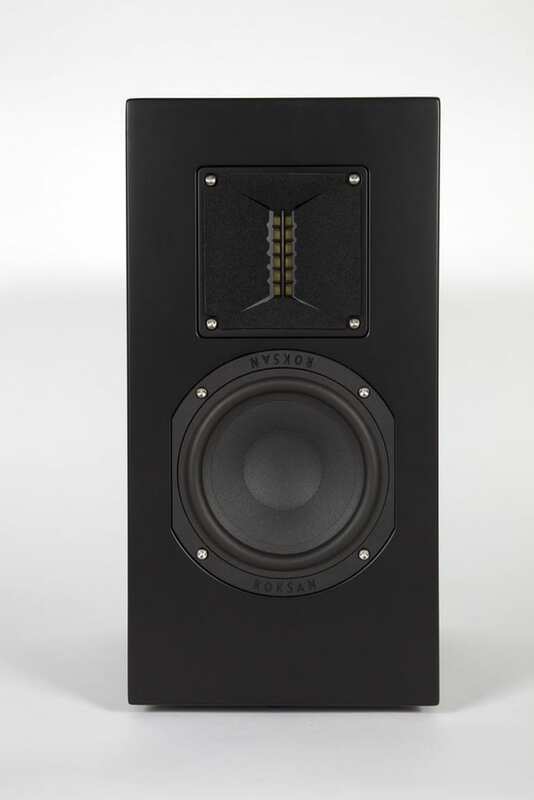 However, a ribbon tweeter also presents problems in selecting a suitable bass driver to pair with it, as the crossover point is usually at a higher frequency than using a conventional domed/coned tweeter which can reach lower frequencies. 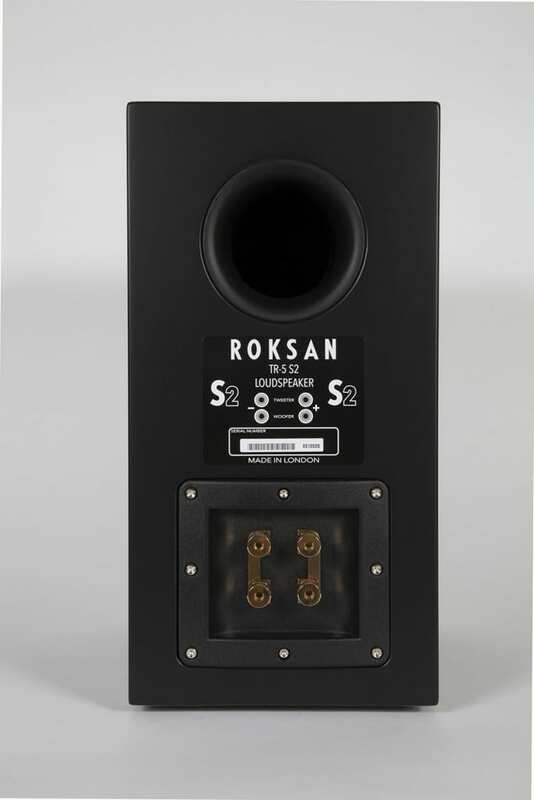 Roksan have overcome this by keeping the bass driver (relatively) small at 130mm with a 100mm cone made from doped paper to keep it light in weight for it to be agile enough to reach further up the frequency range and the crossover designed accordingly. Cabinet dimensions are 370 x 190 x 280 (HxWxD in MM) and is reflex ported, the port itself is rear facing. Connections are via good quality binding posts which will accept bare wire, 4mm banana plugs or spades and configured for biwire or biamping, with jumper plates fitted for single wire operation. Cabinet construction details have not been provided by Roksan. The review pair submitted were finished in piano gloss white and fitted with white protective grilles attached by secreted magnets in the cabinet carcass. Frequency response is quoted at 39Hz to 20 kHz for in room response. Rated at 88db sensitivity, 8 ohms nominal impedance. When I first connected them up to my resident system, I was somewhat taken aback by the amount of bass these speakers produced. They were anything but “bass light”, in fact they were positively prodigious in the bass registers – a bit too much so. I would say it was a comfortable 200 hours before I did any critical listening at all and to my perception the prodigious bass had settled down to a more evenly balanced sound. I dashed off an email to Roksan asking if the pair they had sent me had any running hours on them or were they hot off the production line? They confirmed that they were a factory fresh pair and would need some time for running in. I also mentioned that the reviews I had read stated that the bass wasn’t as full as some and he said to be truthful he didn’t read reviews, but intimated that the pair I had been given for review had been upgraded with some trickle down benefits from the Darius speaker design for the crossover components and they had also re-calculated the amount of wadding that went in to the cabinets to improve the overall sound of the TR-5 S2’s. Dan Worth has already reviewed the Roksan Darius speakers for Hifi Pig and a gather he was rather enamoured with them, so some transfer of that design into the TR-5 S2 model can be no bad thing. 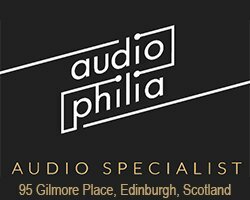 Now that says to me that I was not dealing with the exact same speaker that had been reviewed before over the years and buyers should be made aware of that, so wouldn’t it be wise therefore to differentiate the latest production version from the earlier ones? Tufan, owner of roksan, readily agreed and hence we now have the “Series Two” designation for the latest production models. Back to the sound then and I commenced a decent running in period before making any notes about the listening sessions. As an aside, when as a reviewer you have four sets of factory fresh speakers delivered to you to evaluate at the same time (give or take a week) and each of them need around 200 – 400 hours of running time to bed them in before the listening sessions begin, then spinning a dozen plates is a somewhat less daunting task, trust me. Interspersed with the speakers were also two amplifiers and a DAC as well, that all needed running in times of equal measure. Sheesh! The real star of this show is without doubt the ribbon tweeter that Roksan have incorporated into the design and sets it well above the herd. Ribbon tweeters are not cheap and I would imagine specifying these for a sub-£1,000 speaker was not a decision taken lightly by Roksan, nor was having a piano gloss finish as standard either, but that is not within the remit of my review to ponder over and I set to task myself how it sounded as a package. As you would expect then, the treble registers were very well extended and clean sounding with just a mere touch of silkiness to keep any harshness at bay from poorer quality recordings, which to me is very welcome. It’s all well and good aiming to achieve the highest fidelity levels of sound, but recently I’ve had some components in for review where the design brief was exactly that (aiming for the highest fidelity possible) resulting in products that were so relentless in presenting exactly what is in the recording it became very fatiguing within a very short space of time, so this reviewer is not in the least averse to a touch of beneficial colouration for a more musical and less fatiguing presentation and if we were to be brutally honest about this, then so too are the majority of audiophiles in the same camp and it then becomes my prime job to express where those colorations lie and which kind of audience it may appeal to the most. Where was I? Oh yes, the sound quality. First job then was to place them on suitable stands, as I would certainly not class the TR-5s as a bookshelf speaker. I have a pair of Partington Dreadnought 60cm stands and they were pressed into service for the speakers to sit on. Being rear ported, they benefit from accurate positioning away from the side and rear walls and I found 25 – 30cm in each plane to be about the right balance for bass output. Sticking with the subject of bass balance, there is some real heft and weight in the bass registers, kick drum in particular having a real pounding clout behind it. The leading edge is a tad rounded off however, but not too much so by any means because my benchmark is set very high in this respect. Moving up the frequency range to the upper bass/lower mids, there was a cloaking type of warmth to the sound which will find many admirers no doubt, especially the loyal Roksan fans with K2 amplification which have their own set of unique sonic parameters and presumably this is what the TR-5’s have been voiced to pair with, even so they should sound fine with other systems. OK then, what if you don’t own Roksan amplification, what suits the TR-5 S2’s? 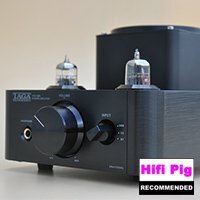 In for evaluation at this time was an Aaron “Chrome One” integrated amplifier (Also reviewed for Hifi Pig) which I admire greatly for its superb sound attributes, but the TR-5 S2’s didn’t sound at their best with this particular amplifier, nor with my resident amplifier for that matter either. Being the opportunist that I am and pressing all available resources into action, I connected up the Roksan’s to a Fezz Audio EL34 valve amplifier rated at 35 watts per channel which was also in for review. Now the TR-5 S2s sounded at home and more in harmony with this amplifier, producing a more fluid sound that was more pleasurable to listen to and remained there for the entire evaluation. The upper bass warmth was diminished by a small amount but still perceived by me and intruding into my listening pleasure which did perturb me somewhat. A glance round the back of the speakers and there they were, my nemesis – jumper plates on the speaker terminals. Plated brass do not make an audiophile connector so off they came, replaced by pure silver jumper wires I keep especially for dealing with this particular fiend. The midrange fog vanished, the treble seemed extend even further up the range now and the bass acquired a tauter more reassuring firmness, with that leading edge sharpened up a good tad too. Talk about a ha’porth of tar spoiling the ship as the old saying goes and why manufacturers spend inordinate amounts of time and money developing their products to sound at their best and then fit this cheap trash is beyond my understanding. Rant over, back to the subject matter in progress. In to the CD drawer goes my reference recording which is Fink’s “Wheels Beneath My Feet” live album. Track one called “Biscuits For Breakfast” begins with the drummer gently striking the Ride cymbal as the intro, which has to portray the metal ringing in the cymbal to be accepted as real and any masking here shows up instantly and readily. As expected, the ribbon tweeter fitted to the TR-5 S2’s gave a faithful and accurate representation of those cymbal strikes and the venue ambience too. Bass kick drum had real impact and almost dominated proceedings, so any prior accusations of being “bass light” by others were disregarded by me from then on. Fink’s voice had a real throaty rasp to it and for a short while I wasn’t sure if this was an inaccurate representation given by other speakers without this trait, or the TR-5 S2’s were coloured in this area, as my resident system does not show it up at all. Bit of both I would imagine. Imaging and soundstaging was excellent with plenty of width and depth to the sound. Not quite up to a holographic ‘walk around’ level, but very good nonetheless. Anyway good people, I played this album from stem to stern and the TR-5 S2’s met all my listening benchmarks without issue. As a contrast to that, I followed on with some electronic music in the shape of Tripswitch’s excellent album “Geometry”. There is some superb layering in this album and it takes a sure footed pair of speakers to unfold and pull back all the layers so each strand is separated out and clearly defined in every respect. The bass lines really are deep on this album, rather subtle in places too and can easily be muddled by the music around it. The TR-5 S2’s didn’t quite have full command and control of this album as my resident speakers are able, especially around the bass which tended to collide with other instruments and once or twice got recessed into the rest of the music. Top end detail was well defined and concise, that silkiness from the ribbon tweeter clawed back the losses arising from the bass and outdid my resident speakers with cone treble drivers so the score ended as a balanced draw. I also played some classical music to round off the evaluation and I have several “Best Of” kind of CD’s as this genre of music doesn’t really thrill me to be truthful and as for enduring a full concerto my blood runs cold at the very thought, but readers like to know how components fare with this type of music and here then is how the TR-5 S2’s conveyed orchestral music. As reflected in the paragraphs above, the bass was similarly fulsome and weighty, string instruments came across as powerful and solid, bass and cello in particular had a rich sonorous quality that was rather pleasing and violins had a distinct absence of squeal or shriek. The woodwind section was similarly blessed and brass had a mellow sheen rather than a coarse attack as some speakers can demonstrate. Grand piano sounded like a Grand Piano, so what more could one wish for from a pair of speakers? Big pat on the back Dominic, you survived that well. 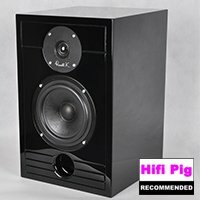 To sum up the Roksan TR-5 S2 speakers then, the sound overall was warm and mellow rather than clinical, fast and sharp, bass was full, powerful and rounded, while the midrange still showed signs of colouration despite swapping out the jumper bars, which furthers adds to that perception of warmth. The upper registers were a delight, with that ribbon tweeter certainly releasing top end detail with clarity and a light touch of silkiness. The real conundrum with the TR-5 S2’s is whether or not they would fit in well with your own system. If you are already in the Roksan fan club then they should I would hazard a guess pair rather well with Roksan amplification, if you have a bright or bass light system they could fit in well there too. I got excellent results from the Fezz Audio EL34 tube amp, so don’t rule out a pairing with a valve amp either. The best attribute about them is that price tag. 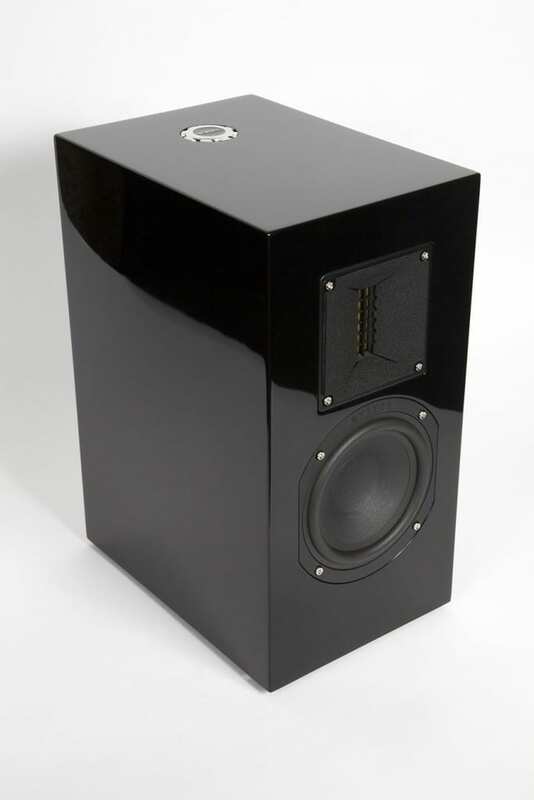 A ribbon tweeter in a sub £1k speaker is a rarity and elevates this speaker above the herd. Midband coloration leans the sound towards the warm and mellow, so makes system synergy matching a little harder but rewarding when finally achieved. Spend a few extra Pounds, Dollars, Euros or whatever to buy good quality jumper links for sonic benefits.